Overbrook Preschool believes in providing a loving environment where young children can actively engage in playful, child centered and teacher directed activities which promote curiosity, exploration, problem solving, creativity, and social competency. Overbrook Preschool is located in an urban setting and draws from a wide community. We welcome families of all traditions and family settings. We believe children learn best in an atmosphere of love and acceptance that is compatible with Christian Living. Overbrook embraces the importance of developing skills and includes the Ohio Early Learning and Development Standards in its emergent curriculum. 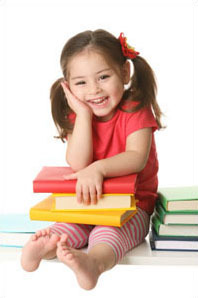 Parents are considered key participants in the preschool learning experience. Our center promotes open visitation, has many volunteer opportunities and encourages parents to share their traditions, hobbies, work, and/or talents with us.